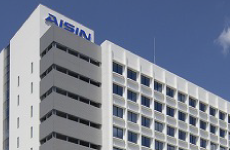 We are working on developing high-quality technical solutions through the steps from basic research to applied research in energy & environmental technology and sensing technology, focusing on applications to automobile and energy fields in the business domain of the Aisin Group. To make economic activities and lives of mankind sustainable, technologies of both saving and generating energy are indispensable. We aim to achieve sustainable low-carbon society with innovative energy generator technology and environmental technology. The world is undergoing dynamic changes by IoT and AI technology. We expect that the new system using these technologies will provide us with higher possibility and usability, as new information is added. To prepare for the changes, we are advancing research on the sensing technology for measuring physical quantities and states.